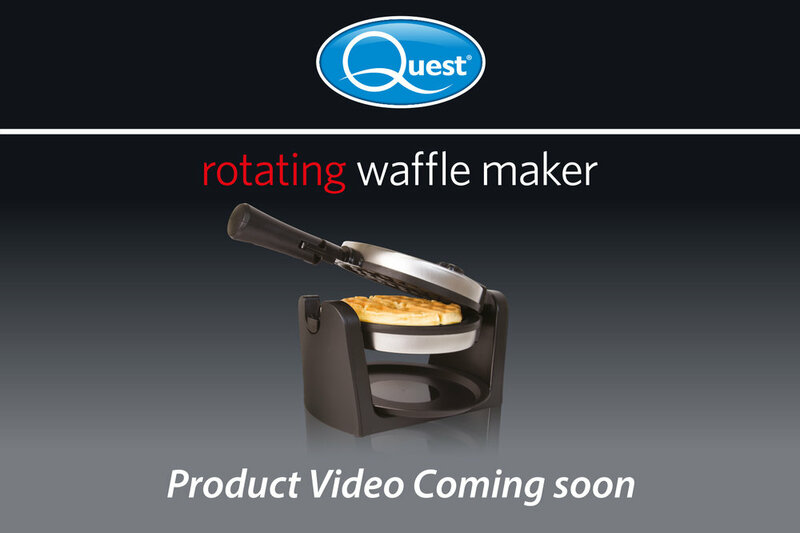 The Quest brand brings you this Rotating Waffle Maker. Cook four crisp plain or flavoured waffles in minutes then add your favourite toppings before serving. 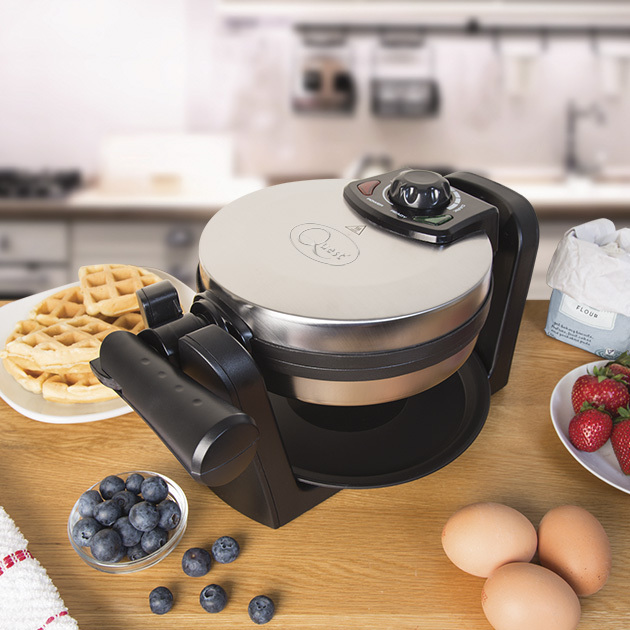 Cooks 4 evenly waffles at once! 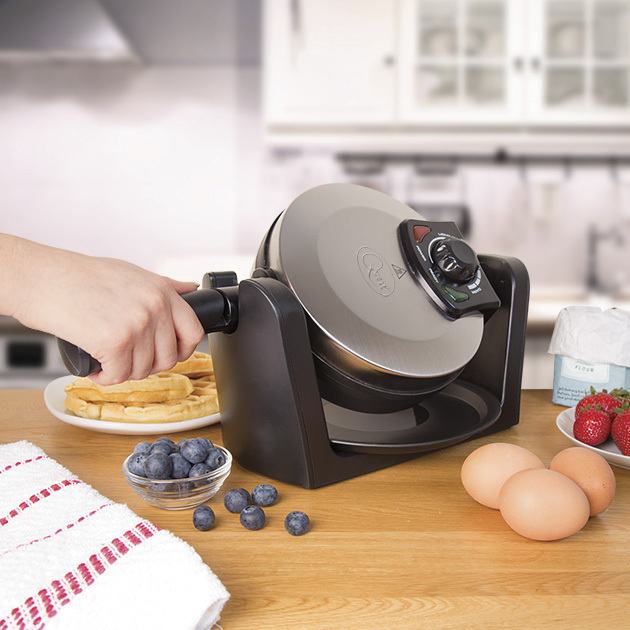 This Powerful 1000W Rotating Waffle Maker. Cook four crisp plain or flavoured waffles in minutes then add your favourite toppings before serving. 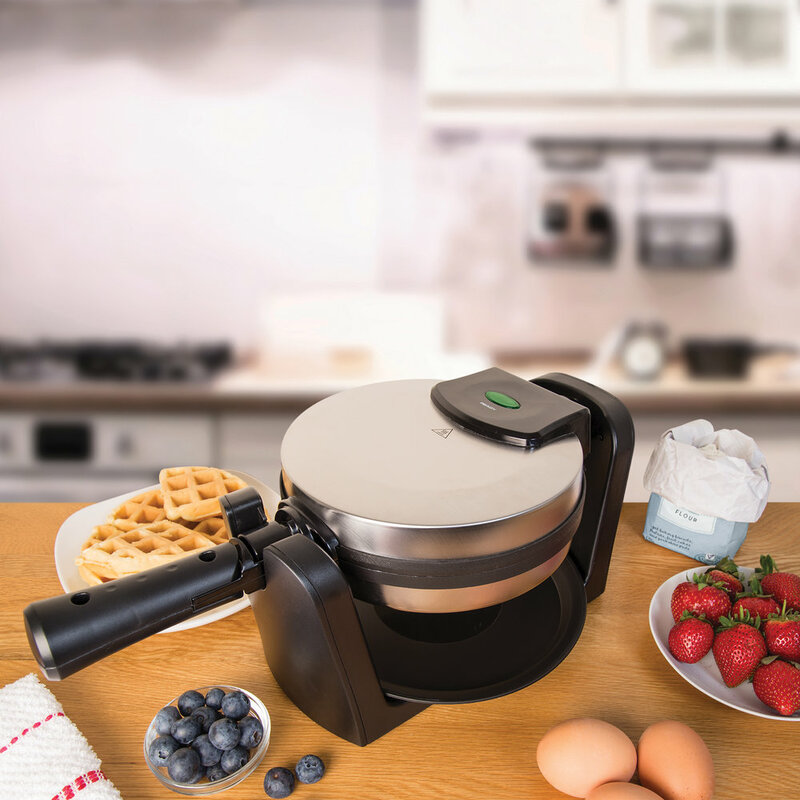 Get into the waffle trend with this simple, compact 4 Slice Waffle Maker. Not only can you treat yourself to traditional waffles at their warm, indulgent best, you can try out healthy combinations, savoury recipes, cookie waffles, pizza waffles and so much more! Adjustable temperature dial so you can cook your waffles to your preference.